Does frigid winter air rob you of your energy? Do blustery winds make your skin feel like someone has attacked it with sandpaper? Has the lack of sunshine disrupted your sleep schedule and left you feeling sluggish? Or maybe plummeting temperatures make you want to wrap up in a blanket and just stay home until Spring. If so, you’ll be as excited as we are about dermaviduals 2014 Winter Comfort Aromatherapy Treatment package, the best reason we know to brave the cold and visit your local salon this winter. dermaviduals skincare products make this treatment package effective. However what makes it truly unique is the mood-lifting aromatherapy component your aesthetician will use to banish the “Baby It’s Cold Outside” blues. The star of dermaviduals 2014 Winter Comfort Aromatherapy Treatment package is our skilfully blended Aroma Concentrate No. 5. But, more about that in a moment. According to the International Aromatherapy & Aromatic Medicine Association based in Millthrope, “Aromatherapy is both an ancient art and a modern science.” It involves the therapeutic use of essential oils. As we become increasingly aware of their therapeutic qualities, essential oils are one of the fastest-growing groups in natural medicine. Inhaling their scents can be beneficial. The aromas of essential oils travels through the olfactory system (your nose) into the limbic system in the brain. They have been shown to support harmonisation of both brain hemispheres, resulting infeelings of calmness and relaxation. Orange Peel Oil is uplifting and refreshing. 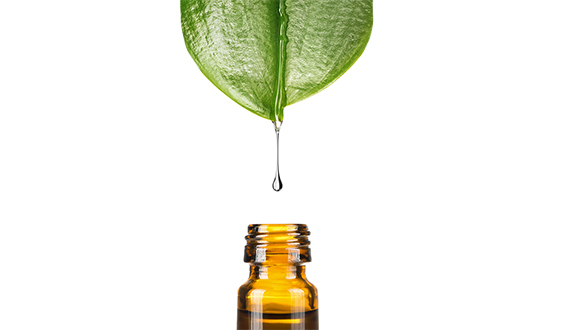 Sage Oil is energising and known to work as an anti-depressant. Rosemary Oil is energising and associated with feelings of contentment and the reduction of cortisol levels. Fresh air is invigorating and vital to our wellbeing. Unfortunately, cold temperatures keep many Australians indoors for long stretches of time, and, as winter goes on, people become more and more susceptible to the winter blues. Fight off winter ailments with their antibacterial and antiviral properties. In short, aromatherapy is the perfect tonic for the winter season! Contact your aesthetic professional today to learn more about dermaviduals 2014 Winter Comfort Aromatherapy Treatment package and schedule your appointment.